Puppy Price $1700.00 for AKC Limited. There is a $500.00 extra fee for AKC Full Registration. Shylo & Bullet are the perfect mix! These pups will make great family companions as well as great field dogs, waterfowl, upland or any direction you want them to go. They will have the classic field coat that is a breeze to groom and have in the house. 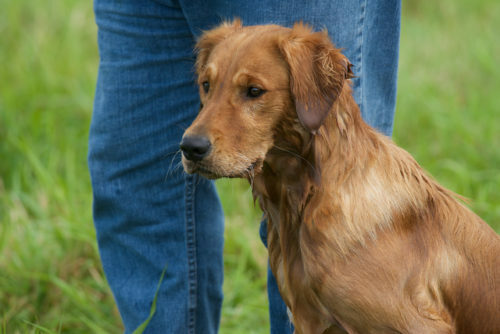 The classic golden temperament and looks and they have top quality championship pedigree to boot! All pups will have there dew claws removed, first set of shots and worming, and health check. Puppy Price $1700.00 for AKC Limited. There is an extra fee for AKC Full Registration. Bullet is a young sire that has a great future! He passed his JH title and one pass for his SH title. Bullet comes from the famous lines of the “Topbrass” dogs. So many hunt titled dogs with champions top and bottom. These will be very trainable, highly intelligent dogs that will excel in any direction you want them to go and will make the best family friend there is! 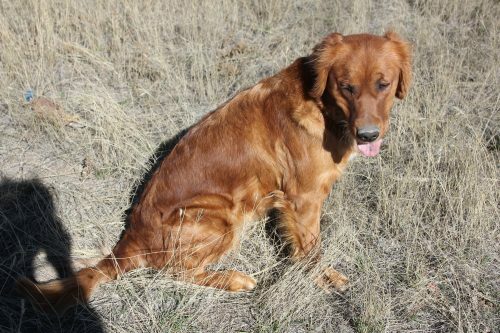 He has the typical loving golden retriever temperament and a beautiful field coat with a very handsome big blocky head that is pleasing to the eye. The deposit is $300.00 to hold your new puppy! If you click on the link below you can see the puppy pedigree. Puppy Price for limited AKC Registration $1700.00, Full AKC Registration is a $500.00 additional fee! Click on the link below to see puppy pedigree.